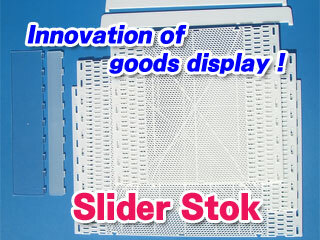 Slider Stock is build-to-order manufacturing. Please make an enquiry about specifications and others. For the display stands ! For plant lines and workshops ! Able to cope with various places and needs ! Various kinds of line coped with usages. 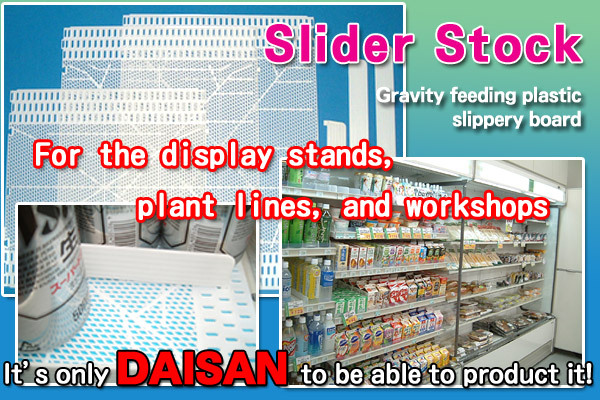 Slider Stock was introduced on the TV TOKYO program World Business Satellite.